Here are some casual observations about the mismatch of expectations and realities of visiting Moscow. Having just returned from a September 2013 visit to Moscow, I was struck by the mismatch of what I had expected and what I actually observed. Moscow turns out to be a wonderful place for the casual traveler to visit. While Moscow might not match some other cities in cuisine, shopping, or magnificent sight-seeing, it does offer plenty of beautiful parks, history, culture, architecture, world-class art and museums, cathedrals, and enough sights to keep a traveler easily occupied for many days. I expected a bit more of a “police state” atmosphere, and at least expected some gnarly looking scar-faced, bandoleer draped, machine gun toting, pressed uniform wearing guards prominently stationed at the airport and on every street corner. 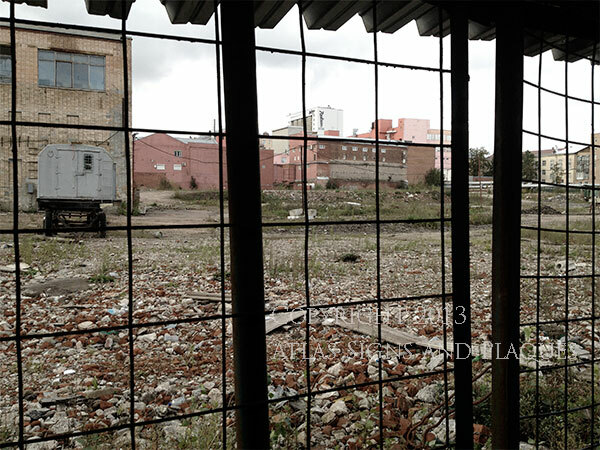 But, no luck and no photo ops (presuming that I would not be sent to the gulag for attempting to use my trusty Leica to expose the goings-on behind the Iron Curtain). Well…maybe too many old cold-war movies stored in my DVD collection, and too many John le Carre books gathering dust on the shelves. The reality is that there is definitely a lot more overt police presence in any large American city than in Moscow. Actually saw or heard very few police sirens. But, since there are not any donut shops, I guess there is not any reason to turn on the blue lights and go fast. Airport: Expected old and dirty. The reality is that Moscow’s Domodedovo International airport is modern, clean, and full of luxury shops as well as food stands that offer the same fare as most any large airport, and at prices that will not make you gasp. Currency and Value: Without really doing my homework, I expected that Russia used the Euro. In reality, their currency is the Ruple and you will see prices listed by the price followed by “py6”. Vat is included, so the price you see is the price you pay. Current exchange rate is about 32 Ruples per US Dollar. Value is in the purchaser’s eye, but prices of non-luxury day-to-day goods seemed a bit less than other large cities. ATM machines are plentiful with many dispensing your choice of Ruples or Dollars. Russian Language: I expected to be able to be able to decipher signs or even to get the gist of newspaper headlines much the way as other countries that I have visited. The difference is that Russia uses Cyrillic Script which is not visually recognizable like the Latin based languages of western Europe (a bit like trying to read Chinese). What this means is that you are going to get lost and have issues finding things by the use of signs. Hint, learn to count the number of subway stops to your destination. I was told that English was taught in schools and expected to be able to accomplish basic needs communication. The reality is that almost no one that can help you, speaks much English. You will hear less understandable conversational English in Moscow than you will in either Paris or London. Oh sure, the big international hotels are not a problem, but it is a totally different story on the streets or in stores. Pointing and smartphone pictures work well as a common language. 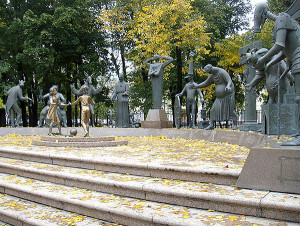 Shopping: I didn’t go for the shopping, but expected to find luxury brands as well as some Russian equivalents to our downtown shopping malls. The urban professionals that fill the Metro are all well-dressed, but definitely not all wearing D&G. So, they must shop at places that I didn’t find. I didn’t go for the shopping. Gift shops only seem to exist in 3 areas. The airport, one shop on Red Square, and a walking shopping street called Arbat Street. Speaking of Arbat, it is one of the oldest areas of Moscow apart from the Kremlin. It was home to Noblemen, Artists, Writers, and contains some fine museums and period architecture. It is worth a few hours of time. Transportation: Expected it to be difficult but once you learn a couple of things, it is easy. The Moscow Subway System (METRO) is fantastic. Easy to use, cheap (a dollar gets you anywhere), fast, clean, reliable, and frequent (trains every minute or two during normal hours). As a showcase for Stalinist Russia, most of the stations are quite architecturally stunning with high ceilings, marble, and ornate chandeliers. Do not expect to hail a cab on the street. The legitimate ones don’t cruise looking for fares. 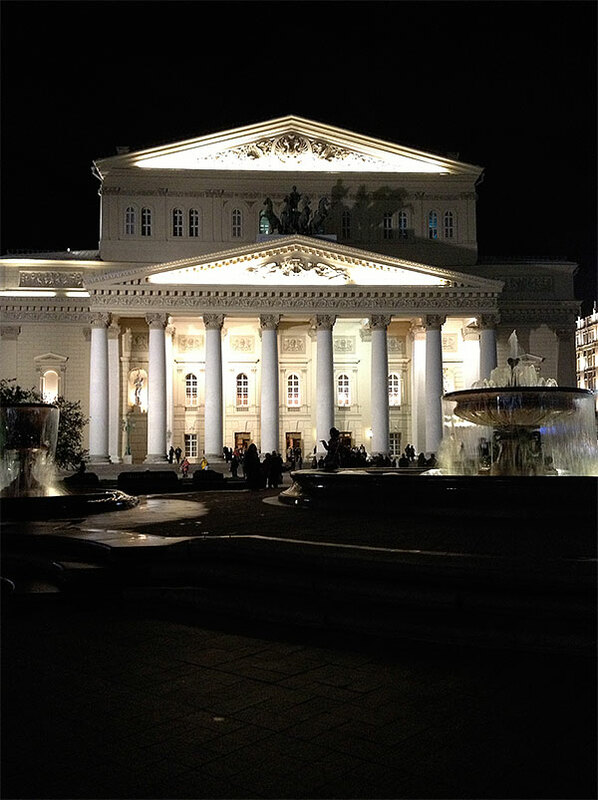 You might find them available after the Bolshoi or at some train stations, but plan on having your hotel arrange a taxi ahead of time and plan several hours notice for your taxi to be there on time. The few times that a taxi was requested, they showed as promised. It is best to have your hotel negotiate the fare and pay upfront to avoid surprises. Safety: I tend to wander around without paying a lot of attention to my whereabouts. Even when uncertain of my position (lost), and cutting through alleys, I never once observed anything that made me feel at all uncomfortable. However, I suggest that caution should be used. Stay aware of your surroundings and travel in a group. Architecture: Expected and saw plenty of Khrushchev era apartments that looked pretty depressing. Apparently, they were built as a step up from communal city living and offered each family a private space, even if the walls were paper thin and the heat didn’t work so well. 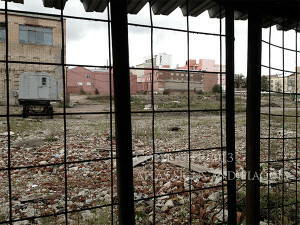 They are rapidly being replaced with modern high-rise residential buildings that seem to be a giant improvement. 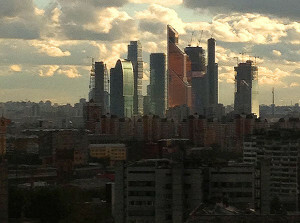 If you are not impressed with Khrushchev as an architect, you will find that his predecessor, Joseph Stalin had much more grandiose vision and conceptualized a number of gothic styled steel skyscrapers. The first was started in 1941, but was scrapped because the steel was needed for Moscow’s defense (Damn Germans!). 7 were built, post war, and are now referred to as the Seven Sisters. They are as grand as any building in Manhattan and stand out prominently against the skyline. 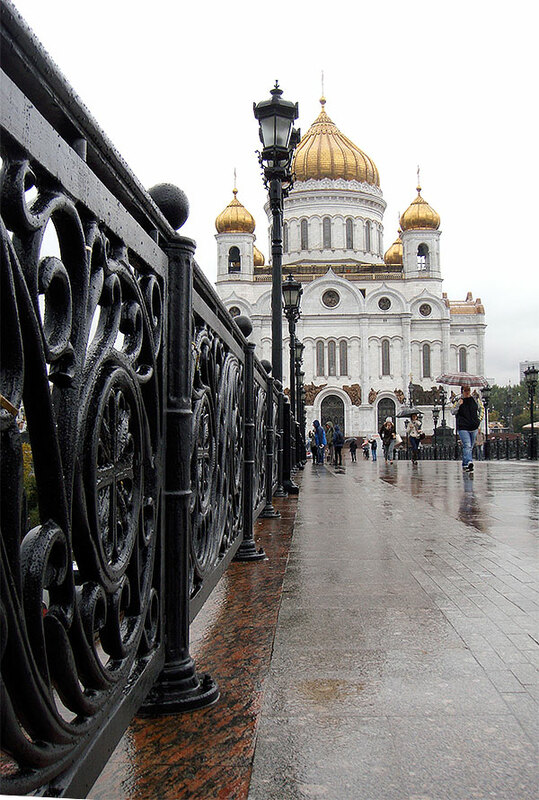 As with most European cities, Moscow has a proliferation of churches and cathedrals. The difference is, Russia banned religion for 75 years and many were demolished by well-meaning Communists. Some have been rebuilt since 1995, and are indistinguishable from the original versions except for obvious improvements in plumbing. 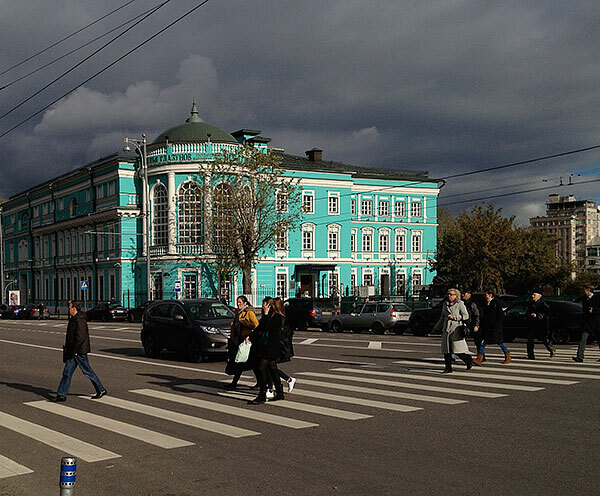 The most striking aspect of Moscow’s architecture is the use of color. Expecting drab, the reality is multi-hued pastels and bright primary colors interspersed among the brick and stone. Muscovites explain that the bright colors are a defense against the long Russian winter. The famous 450 year old St Basil’s Cathedral takes color to the extreme with its Disney like onion shaped towers. 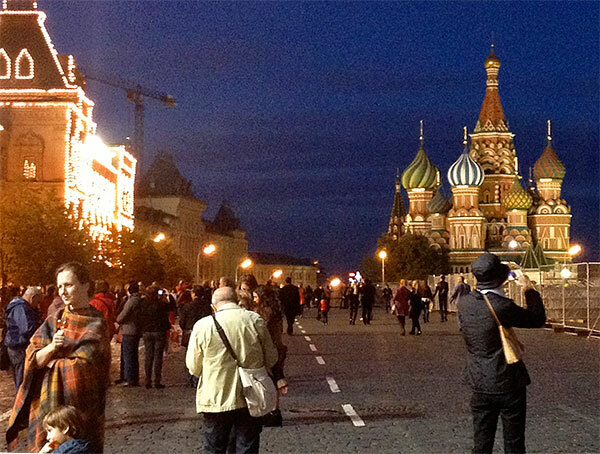 St. Basil’s is a striking sight both by day and by night. Even though its photo is in every book about Russia, go there. It is right on Red Square. Museums are plentiful, and will impress the art lover for sure. For a true taste of the Czarist lifestyle and immense wealth, make a reservation to enter the Amory inside the Kremlin Walls. It contains everything from Faberge Eggs to Royal Carriages. Skip the 1812 Museum on Red Square. Nothing translated into English and pretty lame overall. Residents seem to take standing in line for almost everything as a lifestyle although they will blatantly barge in front of you even if you are not spotted as a tourist. This was perhaps the only overt rudeness that I encountered other than indifferent service in some, but not all, shops and restaurants. Expectations were not high for cuisine, but there were some fine surprises. 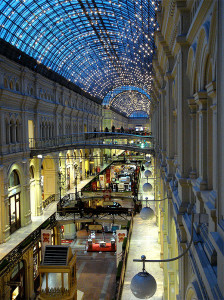 The first meal in Russia was at a cafe in GUM, the 120 year old ornate shopping mall on Red Square. Fantastic, well presented food with a flair, good service and reasonable prices for both food and wine. 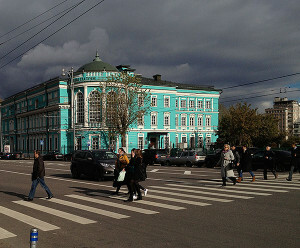 During the stay, we sampled Georgian Food on Leningradsky Avenue. Poor hotel food, and Serbian in a hidden downstairs bar/restaurant. The only place where the service was excellent was the Serbian restaurant where they seemed genuinely happy for our presence. Lunches are easy with many coffee shops, casual sit down restaurants, and grab and go stands to choose from. 400 Ruples will get a good lunch and maybe even a glass of Russian wine. 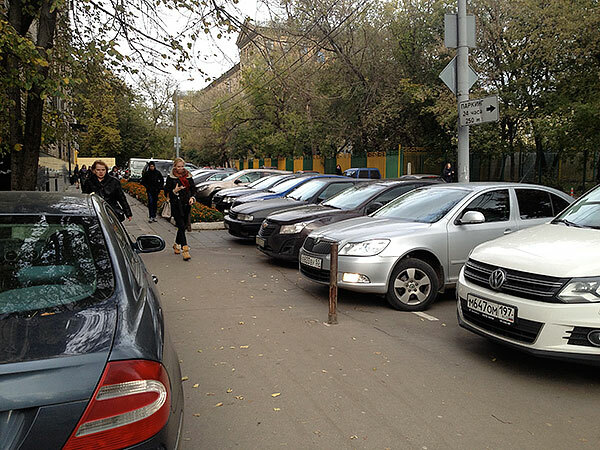 Service and Tipping: Muscovites are not expected to tip while in Moscow, Americans are. That is the simple truth pried from the mouth of a native tour guide. I was chased down when the server believed that I did not tip, and it is not unusual to find a little note as a reminder when you are presented with your tab. If you decide to tip, 10% will keep the wolves at bay. Don’t expect anyone to jump just because you might be a customer. While many western habits are creeping into Moscow, the concept of customer service is in its infancy and socialist standards still exist (Think Paris). Service is general slow with little eye contact (which might mean that they have to do something), but usually not surly (Think Paris). There is much more detail to see in Moscow than was possible in 4 rainy days. 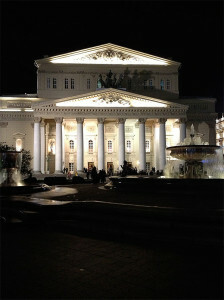 Moscow easily exceeded my modest expectations and proved to be worthwhile destination. It is an unusual objective without many western vacationers (read between the lines here) and worthy of a visit. 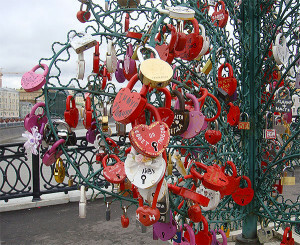 And, being inside the Kremlin Walls does sound a bit daring and romantic, even if it is easily accessible. 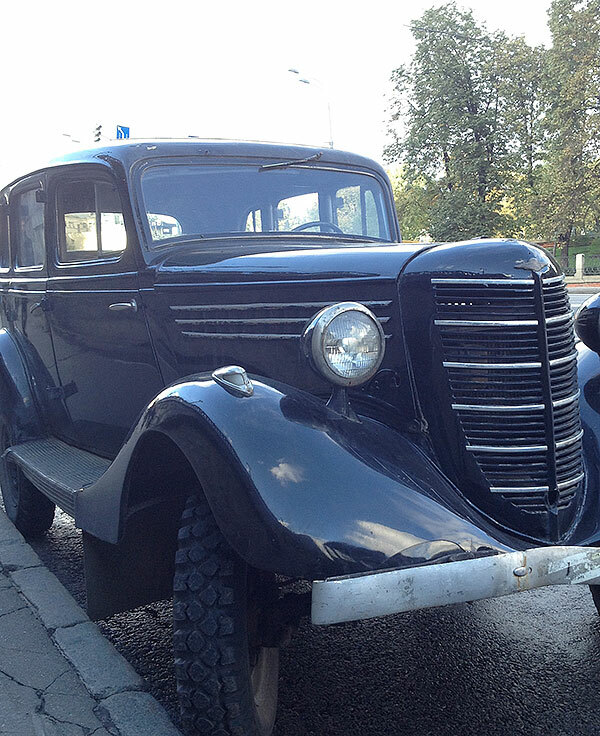 This entry was posted in Just a MOMENT and tagged Moscow, travel, Travel Guide on October 12, 2013 by AtlasSigns.